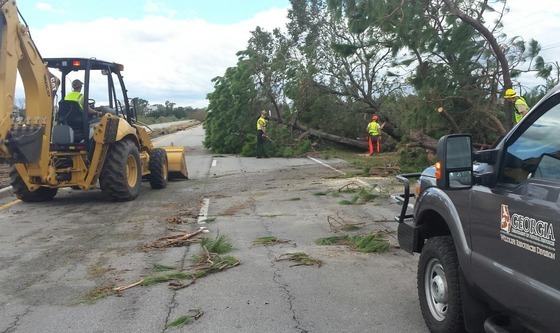 Joining scores of other Georgia DNR employees, Wildlife Resources Division Critical Action Teams helped clear fallen trees and other debris from roads, buildings and even driveways as part of a fast and massive response to Hurricane Matthew. See photos and check out this video of the Jekyll Island beachfront. 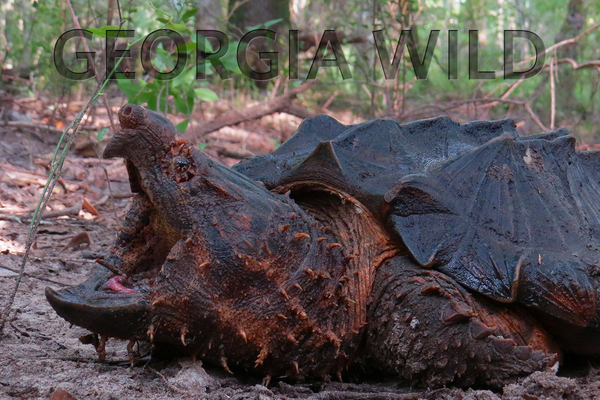 If you are a fan of sensational – and remarkably large – amphibians and reptiles, Georgia is the place for you. The state is home to one of the longest salamanders on Earth, the eel-like, aquatic two-toed amphiuma (growing up to 4 feet long), and the eastern hellbender, a wrinkled-ugly mountain-stream dweller that can reach longer than 2 feet. In the low country portion of our state you can find the longest snake native to the U.S., the eastern indigo, and the eastern diamondback rattlesnake, the biggest of all rattlesnake species and one of the largest vipers in the world. 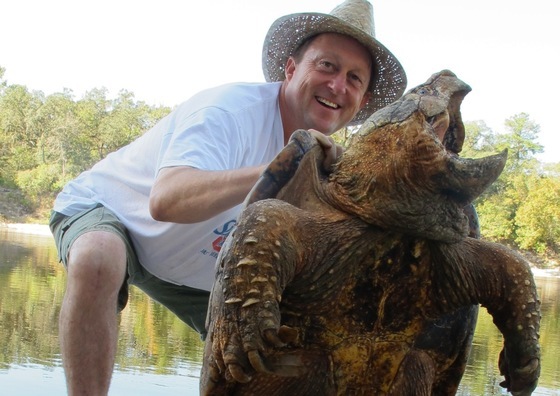 Read Stevenson’s The Naturalist blog posts about gator snappers and surveying for them with DNR senior biologist John Jensen. Included: What it’s like to feel a snapper’s snap. Dirk J. Stevenson directs the Longleaf Savannas Initiative for The Orianne Society. I remember years ago being surprised to hear a man say, "The only good sweetgum is a dead sweetgum." I knew the tree had its detractors; I just hadn’t realized how passionately some folks hated it. I’ve thought often about that statement. And I’ve decided it’s time for me defend this too often maligned Georgia native. 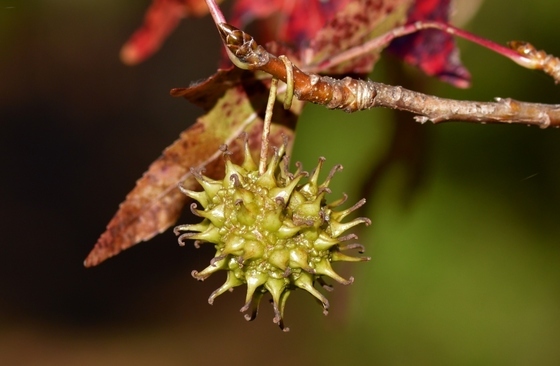 There are many reasons some homeowners don't like sweetgum, from lots of leaves to “poor” firewood to spiky sweetgum balls that can make walking in your yard seem like crossing a minefield. Love ’em or hate ’em, hear Terry out as he explains his defense of sweetgum trees. Linda May with the Georgia Wild video series. Seen bumpy squirrels? 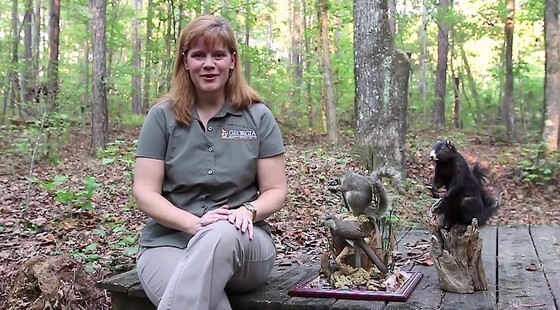 In DNR’s latest Georgia Wild video, environmental outreach coordinator Linda May (above) takes a fascinating and timely look at squirrels and bot flies. The Suwannee moccasinshell will be federally listed as threatened, its decline blamed on pollution and reduced flows. This freshwater mussel found only in the Suwannee River basin in Florida and Georgia has not been documented in Georgia in years, although there have been few surveys in recent decades in the state, according to DNR aquatic zoologist Jason Wisniewski. Thirty-eight more gopher tortoises have been released at Yuchi Wildlife Management Area, part of a State Wildlife Grants project to restore a viable tortoise population at the WMA near Waynesboro. 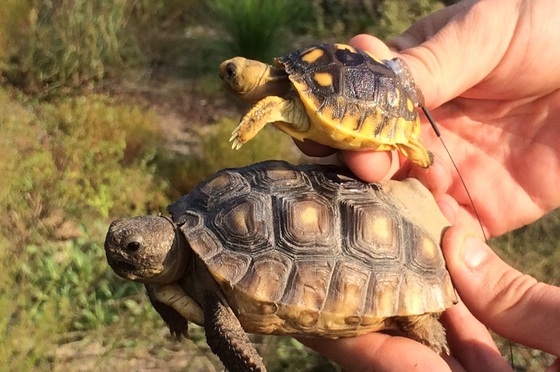 The work led by UGA’s Savannah River Ecology Laboratory included 19 hatchlings and 19 “head-started” yearlings, and follows last year’s Georgia-record release of 153 tortoises at Yuchi (“Head-start help,” June 18, 2015). In a just-released biological opinion, the Fish and Wildlife said future water control operations outlined by the U.S. Army Corps of Engineers will not threaten three federally protected mussels or Gulf sturgeon in the Apalachicola-Chattahoochee-Flint River basin. That opinion will have little impact on Georgia, said DNR aquatic zoologists. Only two of the species – the endangered fat threeridge mussel and the threatened purple bankclimber – are known to occur in the state, and the only known large populations of those species are found in the Flint basin, which is largely unaffected by corps dam operations. Alapaha River WMA was opened last month, adding nearly 7,000 acres for conservation and public recreation such as hunting, hiking and birding. The Irwin County WMA features one of the state’s highest populations of gopher tortoises. Aerial surveys estimated 11,150 red knots wintering in Tierra del Fuego, South America, in January. According to the Western Hemisphere Shorebird Reserve Network newsletter, the total is within the 10,000-14,000 range observed from 2011-2015, the population showing signs of neither sustained recovery nor dramatic decline, unlike the plunge from the winter count of 50,000 birds in 2000. 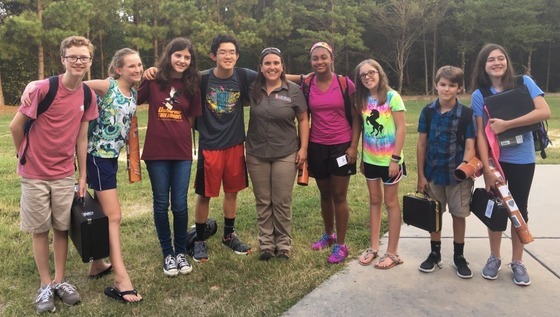 Names in the news: DNR biologist Katrina Morris recently talked with Gwinnett County students about wildlife in Georgia caves and how people can enjoy these habitats responsibly. Led by teacher Steven Clark, the Osborne Middle School group is taking part in the First Lego League Challenge – the 2016 theme is “animal allies” – and homed in on Morris’ discussion of bats, white-nose syndrome and research, asking “about a billion questions!” A paper in the Journal of Veterinary Diagnostic Investigation discusses the discovery of snake fungal disease in a Georgia mud snake and was co-authored in part by DNR’s Dr. Jessica McGuire and Matt Moore, then affiliated with The Orianne Society. Ashby Nix Worley is changing jobs, from Satilla Riverkeeper to The Nature Conservancy’s coastal resilience manager. Ditto for Jennifer Anderson-Cruz, who is switching from state biologist with the USDA Natural Resources Conservation Service in Georgia to that agency’s state biologist in Illinois. ABAC’s Dr. Jason Scott has received funding from the ABAC Foundation to inventory vertebrates at the new Alapaha River WMA. – Keeping flathead catfish in check on the lower Satilla. – Terry W. Johnson sings the praises of strawberry bush. – Georgia Plant Conservation Alliance earns national honor. Florida pine snakes aren’t Georgia’s most common reptile, and spotting a hatchling like the one above is rare. DNR’s Matt Moore caught and released the young female last month at Moody Forest Wildlife Management Area near Baxley. 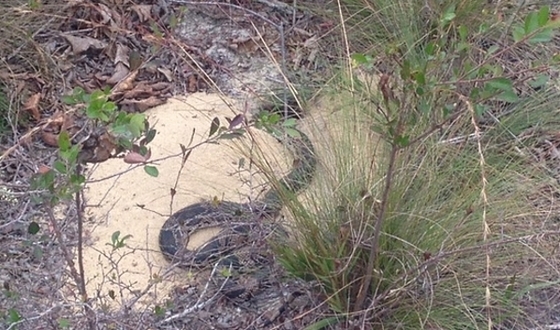 Considered a high-priority species in Georgia’s State Wildlife Action Plan and petitioned for federal Endangered Species Act listing, the Florida pine snake is one of two pine snake subspecies in Georgia. 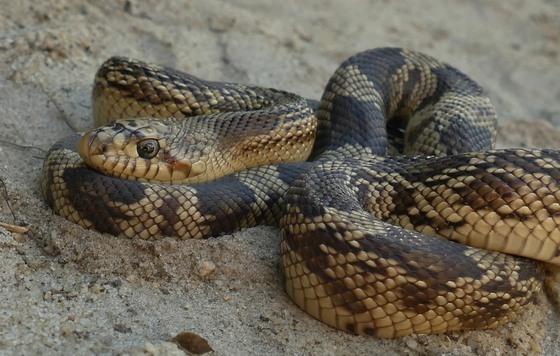 The northern pine snake is found in the northern part of the state and the Florida subspecies in the Coastal Plain, usually in dry, sandy habitats. Both are sometimes called bull snakes – actually a different species in the same genus – and both grow big, up to 6 feet long. These nonvenomous snakes mainly eat small mammals. Moore photographed the one below with its head in a mouse burrow. Though secretive, pine snakes are known for their impressive defensive displays, including loud hissing (their Latin name Pituophis comes from two words meaning “hissing snake”), vibrating their tail, mouth-gaping and inflating and raising the front part of their body. These bluffing behaviors, however, are rarely followed by bites. To help conserve Georgia reptiles. Learn about them, the rare and the common. Recommended sources include “Amphibians and Reptiles of Georgia,” DNR rare reptile profiles and snake brochures, and the Savannah River Ecology Laboratory. 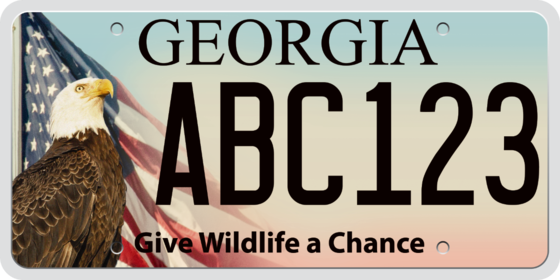 Buy or renew an eagle or hummingbird license plate. Both support DNR’s Nongame Conservation Section, which depends largely on these tags and other fundraisers for its work to conserve native reptiles and other species not legally hunted or fish for, plus the habitats they need. Consider supporting Recovering America’s Wildlife Act of 2016. This federal legislation would provide critical funding for states to conserve wildlife species that need it most, as determined by State Wildlife Action Plans.